Since Agape Gifts involves a large amount of much metal-work, we will begin our exploration discussion of metals. Agape Gifts uses metals in many various ways; tools, dies, beads, pendants, incidentals, sheet metal, and, of course, wire!! We will skip over many of the above mentioned uses and focus on the different wires. I would like to begin this discussion with nickel wire. Nickel wire is used in the beverage charms, conventional and finger Rosaries, and at times other art wear designs. The reason we use nickel is because nickel is corrosion-resistant, does not tarnish and is cost effective. Unfortunately, nickel is a high-sensitivity metal, meaning many people are allergic to it. Agape Gifts generally makes their art wear of semi-precious metal; however, due to do the economical turn, Agape Gifts has begun designing art-ware in copper, brass, steel and nickel. Next on our list is copper. Copper is now running the race to become a semi-precious metal and is usually accepted and sometimes preferred in the jewelry industry. Currently copper is less costly than silver, thus making it cost effective when using large quantities. Copper and nickel are hot on the "in" list. Copper is a "local" metal as it is currently mined in the United States, along with Chile. Copper is one of the softest metals, as it is malleable with the human hand. Copper is also used as a biostatic surface in hospitals. Agape Gifts makes sure to purchase new copper sheets and wire as opposed to recycled. Come and look at our copper line, it was newly brought out in 2009, and was expended in 2010. Brass is a mixture of copper and zinc. Zinc is not usually used in jewelry, so it will not be discussed in this introduction to metals. Brass is principally an alloy of copper and tin. The more copper present in brass, the deeper the bronze. Brass is also somewhat resistant to tarnishing and is used in fire-prominent areas because of its ability to reform without sparking, unlike gold. Ninety of all brass is recycled because it can be separated with a magnet since one of its key components is zinc. 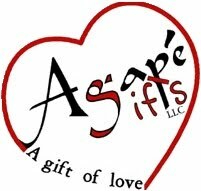 Be rest assured, Agape Gifts purchases new sheet metal and wire from a reputable jewelry supply distributor. Bronze is recently re-entered into the jewelry fashions. It is returning to be widely acceptable. Bronze is made of 88% copper and 12% tin. Bronzes are mostly regarded as brass alloys because they contain zinc as the main alloying ingredient. Bronze is a popular metal as it has been in use for over 4000 years in hand tools, ship building, instruments, medals, and statues. As of the date of this posting, Agape Gifts has not used bronze in their jewelry designs – but not to say they won’ tin the future. Now for the popular metals, silver and gold. First, we will discuss silver. Silver is rarely in its pure form; although Agape Gifts does use it that way. We will discuss that later on in the post. Sterling Silver is an alloy of 92.5% silver with 7.5% copper. Silver with a stamp of .925 or higher is considered pure (or fine) silver, since it contains more than 92.5% silver. If a stamp has .930 it is Argentium Silver which has a slower tarnish rate. Silver has a higher electro-conductivity than copper, but due to cost, copper is used for electrical wiring. Unpurposefully, the chemical element for silver is AG; sound familiar? Agape Gifts uses AG all the time! Silver can also be plated with rhodium (for a shiny appearance) or gold. Gold has many divisions; there are the many karats of gold, vermeil gold, gold plating and gold filled. I will try my best to summarize each of their different forms. All the found gold in the world would fit into a 20.5m cube. 50% of gold is jewelry, 40% of gold are investments, and 10% of gold is used industrially. Gold is the most malleable of all metals. 1 gram of gold can be pounded into 1 square meter. To help you, a penny weighs about 1 gram. Even though gold is very malleable, it is not airy, it is very dense. Gold conducts heat and electricity and reflects infrared radiation. Gold is also unaffected by most tarnishing agents. A thin coating of gold is usually used on more allergic or chemically reactive metals. The Karat scale is a 1-24 scale. Pure gold is 24/24 parts gold, or 100% gold. 18-karat gold is 18/24ths gold, or 75% gold. The non-gold parts of anything less than 24-karat gold is made up of an alloy of nickel, copper, and zinc. In the US, anything with less than 10/24ths (10-karat) cannot be sold as gold; which explains why no one can find 8-karate gold... which would be much more budget friendly. Gold also, should be stamped with a stamp of authenticity as well as a stamp of the designer or origin country. Vermeil gold is 20-karate gold. Gold plating is a thin layer of gold over sterling silver or nickel; this is done to reduce the cost but still is real gold. Gold filled is a mixture of gold and silver on the inside and a thin layer of gold on the outside of the product. Finally, we will talk about our Fine Silver, or .999 silver. This is 99.99% silver. The silver is purchased in polymer clay, when it arrives, we are able to cut, form, shape, and stamp the silver clay. After the clay has been formed into the desired shape, it is then placed in a kiln and fired at 2200F for a period of time. While this clay is in the kiln it is settling, and any non-silver elements are evaporating. After the silver has cooled off for many hours, it is safe to touch; it is then brushed to remove the polymer dust which prevented the silver from burning, and is then put in a peie of jewelry for your enjoyment.